Digital design- and visualization software and even VR glasses can not match a physical model for Gerhard Korendijk, mechanical engineer at Batavus. “Especially if you want to discuss a concept in a broader group.” Since his department has its own 3D printer, he regularly sends a file to the dddrop 3D printer at the end of the working day to have a tangible prototype in his hands the next morning. Accell Nederland is the bicycle manufacturer of Batavus, Sparta, Koga and Loekie. Accell Nederland is part of Accell Group, a globally operating company. Batavus stands for the solid family bike; Sparta stand for innovative electric commuting bicycles. Accell Nederland has its own development department at the factory in Heerenveen where, among other things the Batavus and Sparta bicycles are produced. 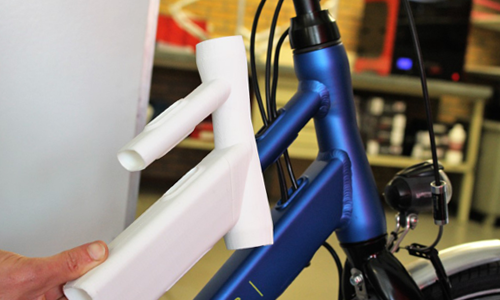 “In the bicycle industry, the differences are small but important for the target group”, says Gerhard Korendijk, together with a colleague responsible for the engineering of brand-specific bicycle components such as frames, carriers and plastic parts. “If the designer has finished his sketch designs, usually in a 3D file and sometimes 2D sketches, we work it out technically. Ensure that the designs can be made, that the taxes are calculated, etc.” Prototypes play an essential role in this. Another example: the new easy lock adapter. The steering lock is made by a supplier. To make it easier to use, Gerhard and his colleagues had come up with a plastic ring with a lever to place the steering lock, so that you open and close the lock with more force. That is the easy lock adapter. “However, the supplier’s 3D model was not quite right. Before we had a mold made, we printed several prototypes in different sizes. Such a component costs no more than a euro.” In the end, they had an SLS model printed externally for a definitive functional test, but they were certain of the right size. The R&D department of Batavus prints parts every week, sometimes purely as a vision model, sometimes to actually test how a component in the assembly works out. Gerhard Korendijk even notices that he prints 3D products whose design is not complete. “Although we live in the digital age, I often print a part at night because I have something in my hands the next morning. That works better”. 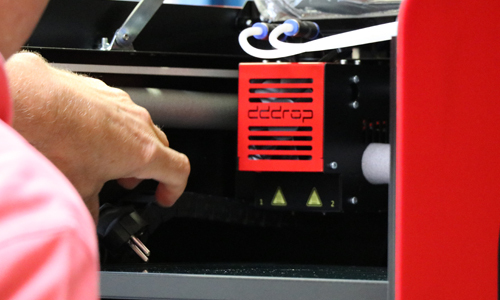 Batavus was one of the first to buy the industrial FDM printer from dddrop two years ago. At the bicycle manufacturer they mainly print ABS, sometimes PLA. The drawing work is done in SolidWorks, for slicing one has switched to Simplify 3D after a while, which has standard profiles for the dddrop printer and where easily profiles can be created. 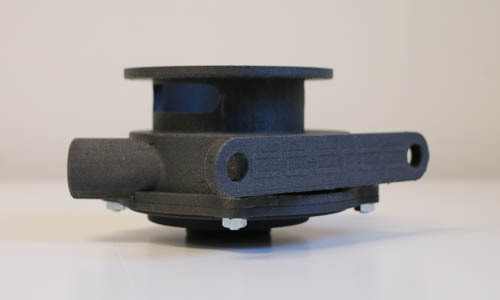 The way in which 3D simplify 3D divides the product and provides the support, delivers better prints that require less support and therefore cost less material. “I would like 3D printing to be as easy as document printing, but we are not that far yet”, says Gerhard Korendijk. “It’s not plug and play yet, maybe in 10 years. 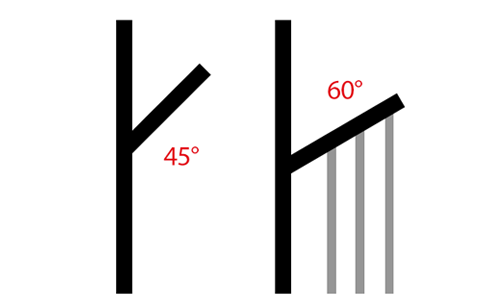 ” However he does notice that tweaking is becoming less and less necessary. 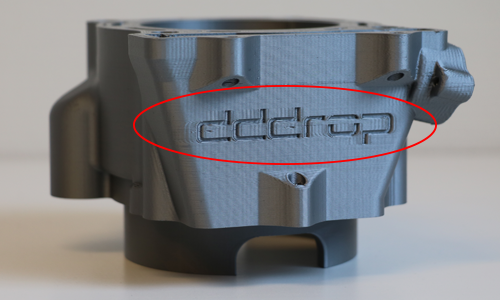 With the material profiles for the dddrop printer in simplify 3D you have come a long way. And otherwise there is always the helpdesk. The support that dddrop offers at the time was the reason for Batavus to choose this manufacturer. 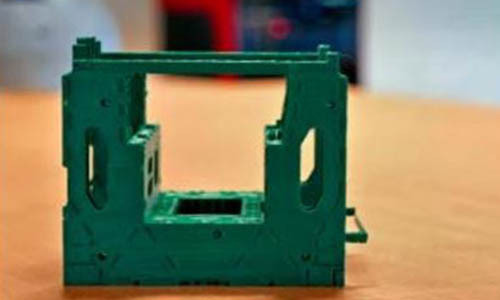 “The 3D printer comes from the same supplier as our CAD software. We knew that the helpdesk was good. That also applies to dddrop. When you call the helpdesk, you notice that they know the printer in depth.” What he mainly noticed is that the team of dddrop does something with the comments from the p ractice. Feedback from users such as Batavus is important input for the continuous improvement of the 3D printer. 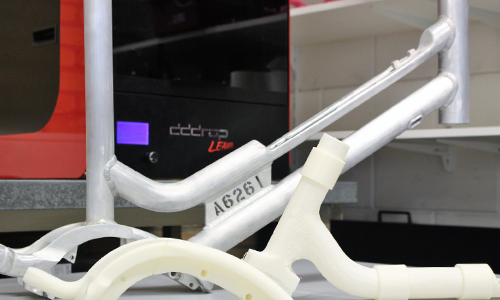 For the R&D team at the bicycle manufacturer in Heerenveen, the 3D printer is indispensable. “We can develop faster with fewer errors. 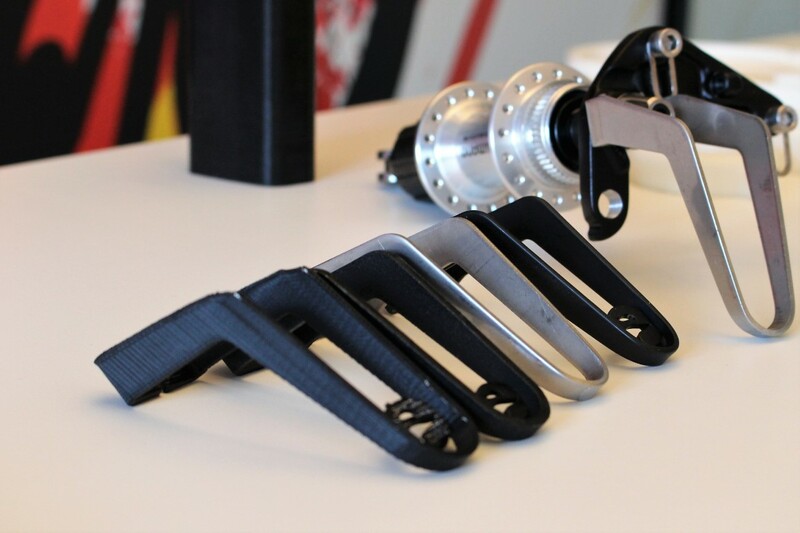 By printing our prototypes, we certainly could have pretended a few times that we would have to adjust molds afterwards”, says Gerhard Korendijk. In that respect, the investment has already been recouped twice. This article was publiced at 3dprintmagazine.eu, read the whole magazine here. 3D print tip: How to maintain your 3D-printer?